Whenever you have a special event which requires a portable stage for speakers to deliver their speech and entertainers to grab the guests’ attention, you need a portable stage platform which fits the venue without being tough to set-up or too clumsy. Buying a set of portable stage is not economical as you will not be using it again and again. Storage can also be a challenge for those who think about owning one’s own stage. Lexican De Mode is a specialist in Audio Visual Productions, Stage Platform Rental, Lighting, Screen Rental and Stage Equipment. Our stage rental solutions deliver outstanding service at an unbeatable price. We understand that it can be tricky obtaining quotes, arranging logistics and building safely. The most reliable way is to hire a professional event production company with knowledge, experience, talent and equipment to design and create the right platform for your event. Every event is unique as it comes with a unique set of needs, personality and challenges. A professional stage rental company will have to consider number of factors when assessing your requirements and preparing the quote for your staging. Some of the most important factors include constraints, physical space, venue capability, event location and special needs of the performers. 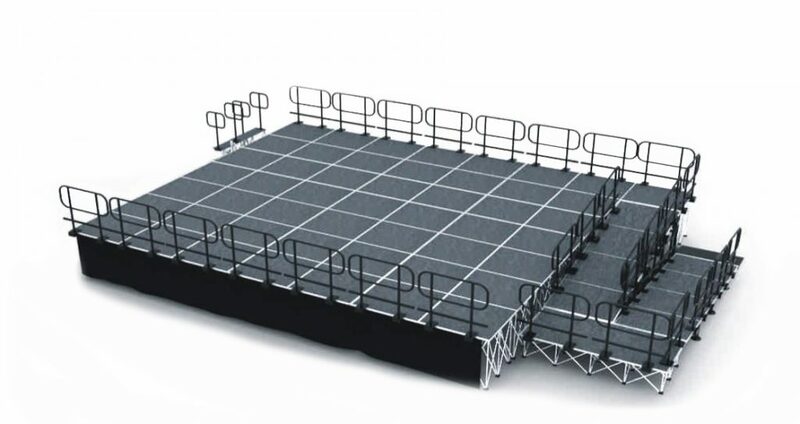 An advantage of working with a stage platform rental company in Singapore is their ability to come up with a detailed, accurate proposal for your requirement. The report clearly outlines any possibilities of overages so that you find no surprises. The size and configuration of the stage and the venue’s location and capabilities are the most important factors which can affect different aspects of any event staging. If, for example, your event is organized in a facility which already has a stage, supplementing the current equipment may turn out to be the best decision. Such a consideration can often cost considerably less than building a completely new stage. Other considerations include whether the design requires creating custom stairs or pieces or the requirement of any moving or rolling pieces. These factors not just affect the equipment costs but the overall labor too. 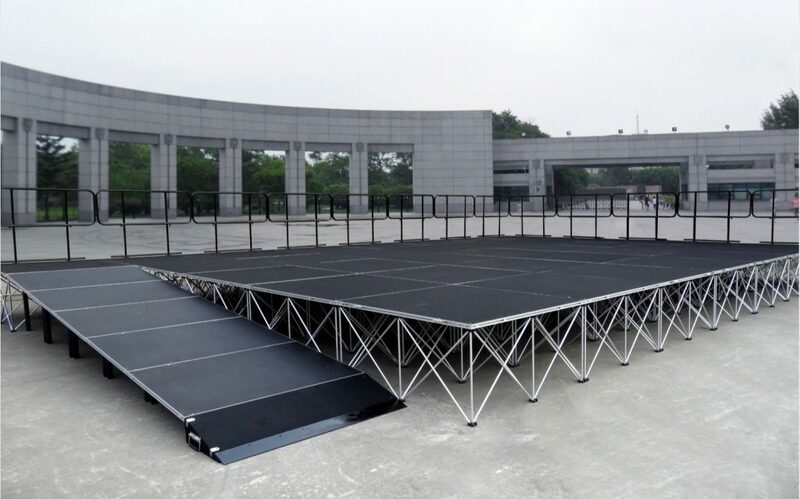 The prices of portable stage platform rental can range from as low as $200 per day to up to $1200 per day depending on the type, size and duration.